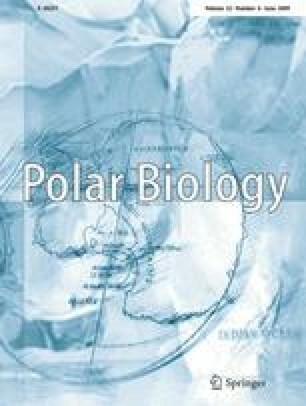 Kelp beds support diverse and productive benthic coastal ecosystems and are often perceived as cold water analogs of tropical coral reefs, yet the levels of species richness in polar regions have remained largely unexplored. The present study aims to assess the magnitude of macrozoobenthic species richness associated with the macroalgae in an Arctic kelp forest. The study was conducted in Hornsund, a high latitude Arctic fjord off west Spitsbergen (76–77°N). A total of 403 samples (i.e., individual algae) were collected by scuba divers at three sites located along the fjord axis at varying depths (5–10 m). The most common invertebrate species and the sample species richness (mean 11.5 species per sample) were consistent among the most common algal species (Laminaria digitata, Saccharina latissima, Alaria esculenta, Desmarestia aculeta, Odonthalia dentata, Phycodrys rubens). Fauna associated with overstory kelps was concentrated on the holdfasts. A total of 208 species were identified; Bryozoa, Polychaeta and Hydrozoa yielded the highest numbers of species (70, 52 and 37, respectively). The non-parametric Chao2 estimator of true species richness gave an estimate of 259 species (with 95% confidence intervals from 234 to 308). Despite the high sampling effort, the total species richness was not captured. This may stem from the high level of rarity within the fauna associated with kelps; 38% of the species occurred only in one or two samples. The studied fauna was much less diverse than similar assemblages surveyed at lower latitudes. The high numbers of species and the common occurrence of colonial forms (Bryozoa, Hydrozoa) in the current study show that these taxa cannot be omitted in macrobenthic diversity surveys performed within kelp habitats. We would like to thank B. Witalis and T. Kirzeniewski for help with field work in Hornsund. The study was completed thanks to the funding provided by grant N304 034311202 from the State Committee for Scientific Research.